← The Return of Styroscope? London, UK. — May 13, 2013 — Capcom, a leading worldwide developer and publisher of video games, today confirmed that Phoenix Wright™: Ace Attorney™ – Dual Destinies will be available to purchase digitally on Nintendo 3DS™ across Europe and North America in Autumn 2013. 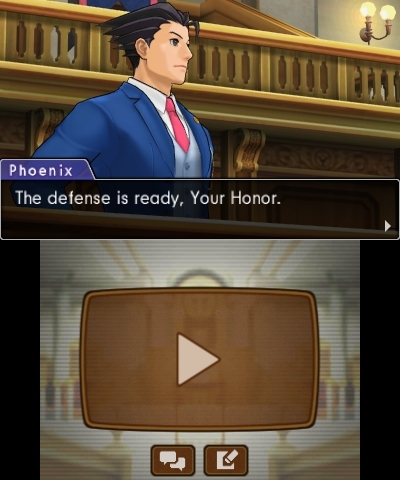 Phoenix Wright: Ace Attorney – Dual Destinies, previously announced for the West as Ace Attorney™ 5, sees the return of courtroom hero Phoenix Wright. Set eight years since his last appearance in the courts, the first case in Phoenix Wright: Ace Attorney – Dual Destinies sees the action start in a destroyed court room. It’s down to Phoenix Wright and his team at the Wright Anything Agency to discover the cause of the destruction. Players will have to battle it out in court against Gaspen Payne, the younger brother of Winston Payne from previous Ace Attorney titles, as they defend the accused. I am a bit saddened that the game will not be receiving a physical release, but the previous Ace Attorney game Ace Attorney Investigations sold so poorly, that Capcom did not bother releasing the sequel in North America. Capcom’s explanation for releasing the game on the Nintendo eShop only is because of lack of retailer interest. I really wish Capcom would do a limited printing of the game via a Limited Edition box that includes the Phoenix Wright figure and a music CD, I would definitely pay up front for that like I did for the special edition of Ni No Kuni last June.